High school hockey practice can be somewhat complicated. You want the best out of your players but you must never forget that they are still in high school and that studies are an important factor to contend with. It can be tough for a high school hockey teams to have the adequate time to practice what you need to be competitive. 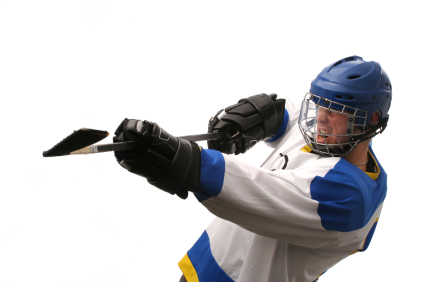 Here are some things to focus on when time for hockey practice is scarce. When your high school hockey practice time is limited, there are certain ways you can maximise your ice time with good practices. Developing individual hockey skills is an important part of practice. This means that players must practice their skating, stick handling, shooting and passing. A better plan and a way to save time are to view shooting and passing as one skill since the mechanics are the same. When you plan your high school hockey practice, work in a progressive manner. Begin with basic skating, stick handling and passing drills and then progress to more challenging activities. Try to get players to a tempo faster than they are comfortable with. As a coach, player development is very important. A good way to do this is to add special rules to your practices so that your players will have something new to learn that does not take much time. You can emphasize on specific concepts. The only thing needed is a little imagination to change up a certain drills. Take a normal pass drill and make changes to it. Instead of passing the puck once going forward, make them pass the puck 2-3 times going backward. You will get the same results and players will appreciate the changes once and a while. Everybody knows that practicing as is important. You should have a place for team tactics but it is a good idea to keep these as secondary when you are planning your high school hockey practices. What is great with team tactics is that the actual team does not have to be on the ice. When your players are in gym class you can maybe talk to the teacher and show him some moves so that the hockey players in the class do not lose a step. They are called walk-through. This can be done using a basketball or even a volleyball. When you are done explaining your tactics, have the players try to execute the concepts either with or without defenders. When ice time is not available, another good way to keep the team together is in an actual classroom. You need nothing more than chalk and a black board. Many strategies and concepts can be explained and players can ask their questions without wasting valuable ice time. If you are lucky to have a VCR, looking at video tapes is not a bad idea either. By taping your own team, you can learn what works and what does not. High school hockey practice is not always easy to run. There are some good ways that you can get your team ready even if ice time is limited. Following these steps can actually have your players learn more even without the ice.